The WordPress to Joomla migration will done by using "JConverter" Joomla extension. - Install Joomla without adding any sample date. - Click Here to download the JConverter Joomla Extension. - Install the JConverter extension the Joomla website. 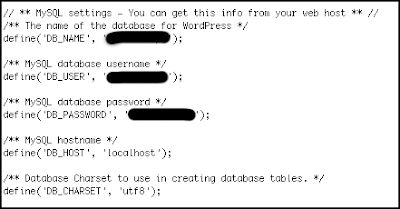 To get the WordPress database details, we need to access the "wp-config.php". Open the file and make note the following details from the file. Go to Joomla administration section, Extensions -> JConverter -> Global Configuration and enter the database information that we have collected earlier. When that data is in place, click Save and then click "Start Conversion!" I like this article! Very useful for website masters. In addition, I'd like to share with you one more tutorial for website non-techies. 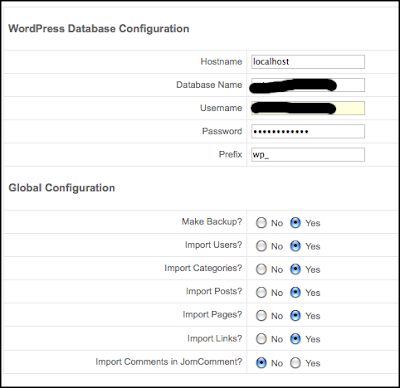 Great migration tips for wordpress to joomla. The conversion of wordpress website to joomla website should be done by one the expert in joomla web development field.I think this article made by some the reference of joomla web developer. PHP is best and world popular programming language. Today all user want PHP web application development because it is easy to manage and so cheap also. It is fast to develop and user friendly also. Some people know only what is migrating wordpress to joomla.But they don't know the full applications and usage of that.If they try to know about that full details regarding that,It should become good level. Migrating a wordpress website to Joomla website could be done by only experts in the field of joomla development. strive hard to take the level of wordpress to the higher one. therefore it is better to contract your development necessities to our Wordpress Development Company.